1: What Type of Party? Knowing what party you want to throw is the first step. How big? Will all employees be included? Upper Management only? Should each department get their own party? Also, if you’re planning a formal party, be sure your décor reflects the tone. Specify a dress code in the invitation. 2: Set Your Budget This should go hand in hand with deciding the type of party. Be sure your desires match your spending allowance, and be sure to check with the boss to see what they have in mind. 3: Create the Guest List Be sure both your budget and your venue match your guest list. You’ll also want to specify if employees can bring guests, and if children will be welcome. If you have clients you’d like to thank, you should consider inviting them as well. 4: Set the Date The holiday season is an incredibly busy time of year. A weekday party could work, provided you accommodate it within the work week schedule. Friday evenings after business hours are generally the status quo. You may want to allow employees to leave a bit early on that day to get ready. 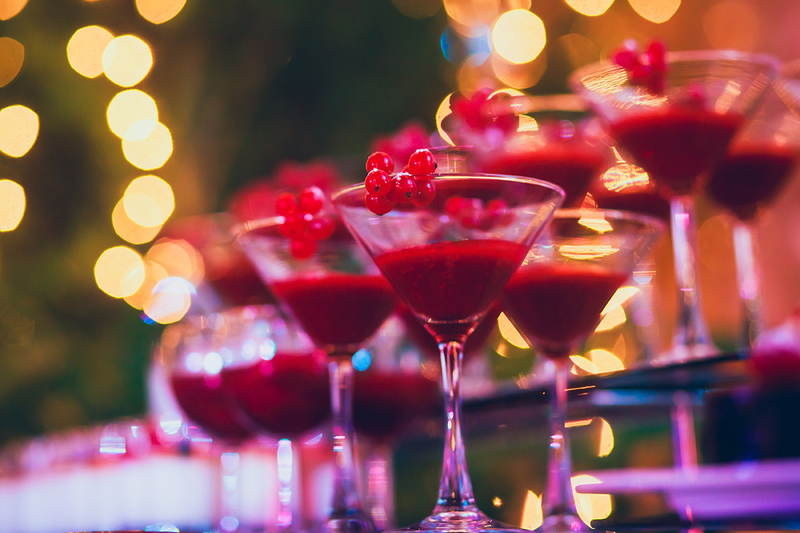 If the holiday season is simply too busy with the nature of your business, you can also plan the party for January after the hustle and bustle has died down. This also gives your employees something to look forward to in those dreary winter months. 5: Select Your Venue Holding your party at your office may seem like the easiest option, however the office environment leaves much to be desired as far as holiday spirit and atmosphere. Having your party outside the office allows your employees and guests to connect on a more personal level and encourages them to get to know each other. Contact our party planners at 973-907-7750 to get started. 6: Pick Your Entertainment Parties just aren’t parties without some entertainment! Music is a must-have, and you can also plan other activities such as gift exchanges, photo booths, or carolers. Make your party as fun as possible! 7: Plan the Bar Do you want a signature drink? Holiday themed? Eggnog? Spiked Hot Chocolate? The options are virtually limitless. Work with your venue or caterers to see if they have any suggestions. You should also set clear limitations on how much guests can drink. This can be done with a desired amount of tokens for complimentary drinks, and make sure there are taxis nearby so guests get home safely. 8: Book a Photographer Your party should be memorialized. While everyone will likely be snapping away on their smartphones all night, a professional photographer can make all the difference. If you choose to add a photo booth as mentioned above, your guests will have a fun memento to being home with them. 9: Recognizing Accomplishments The holiday party is the perfect time to celebrate those individuals who bring something extra to the company. Employees will appreciate the recognition, and it will likely encourage them to continue doing well in the coming year. Boosting company morale and strengthening relationships should always be a priority. 10: Giveaways and/or Charities With the holidays being notorious for giving, this is a great time for prizes! You could set up a raffle for employees to win prizes, or make contributions to local charities and organizations. The holidays may seem far away now, but they are fast approaching! Call us today at 973-907-7750 to get your party planning started and give your employees and clients the end of year celebration they deserve!